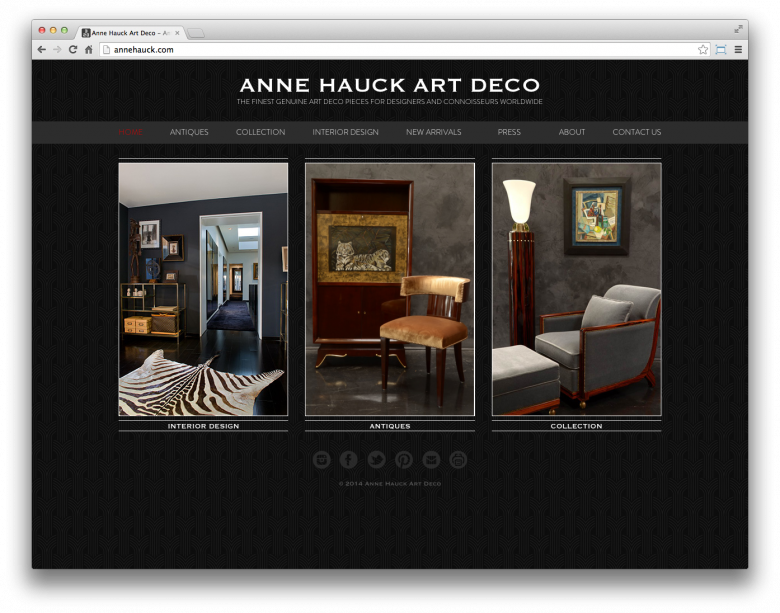 To create an inventory management system in a WordPress back-end for the Anne Hauck website. 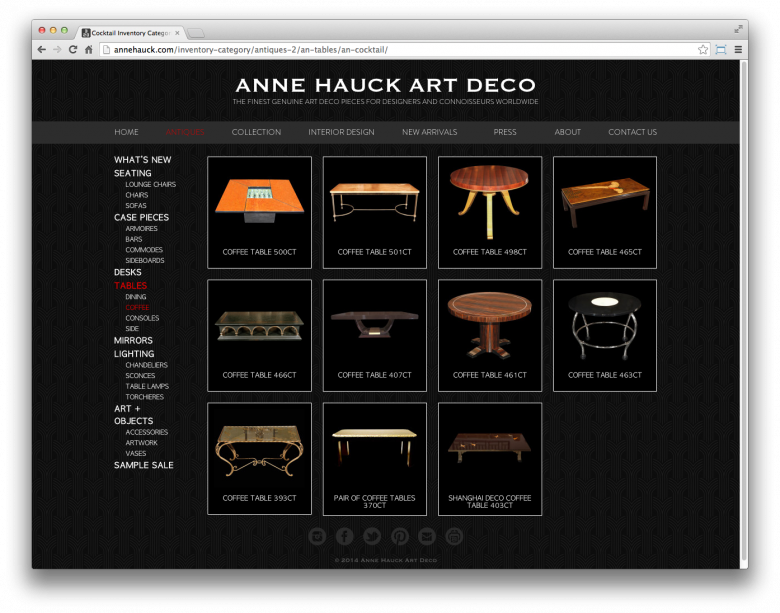 I used WordPress custom post types to create an inventory management and categorization system. I used a hierarchical taxonomy system to allow the pieces to be easily categorized and automatically arranged into a menu. 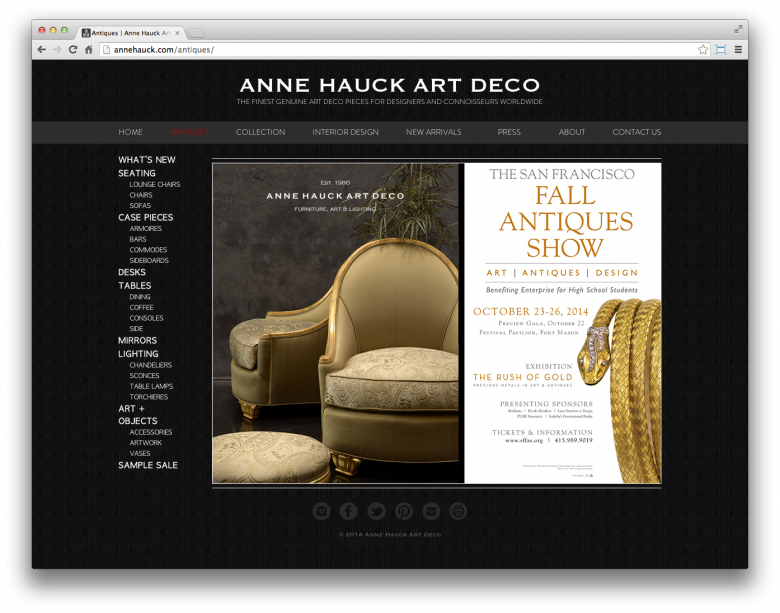 I used URL rewriting to create a sensible URL structure for the categories and individual pieces. 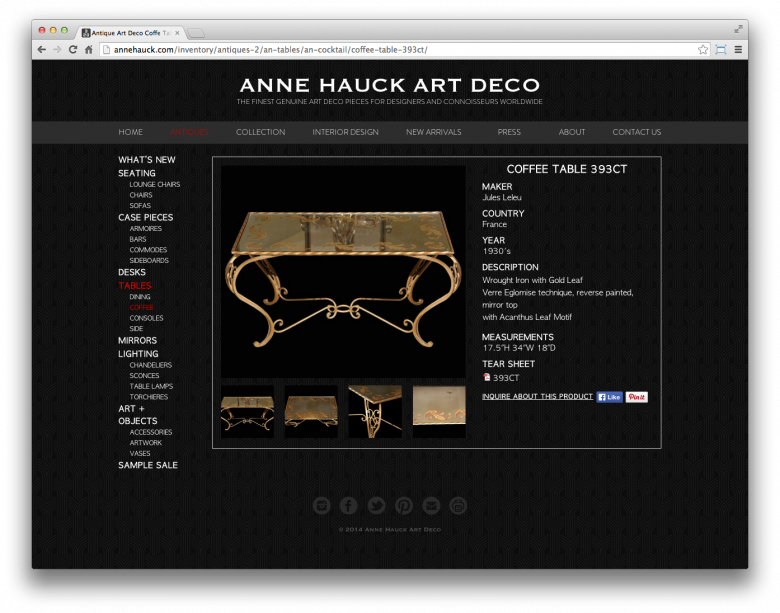 I used Advanced Custom Fields to allow custom data about each piece to be entered and displayed on the front-end.